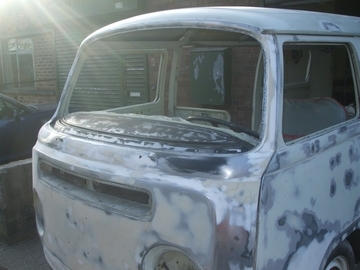 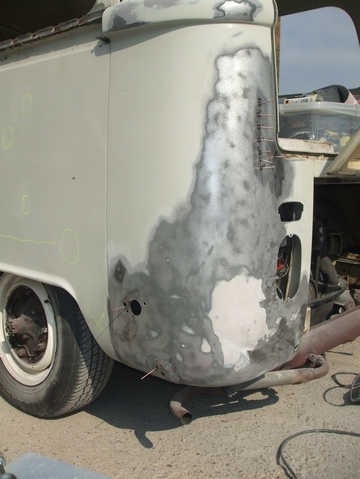 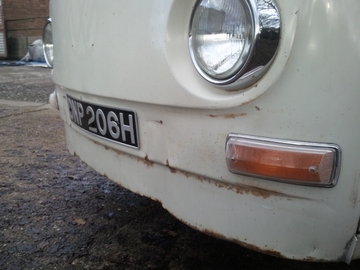 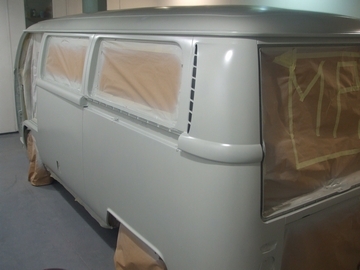 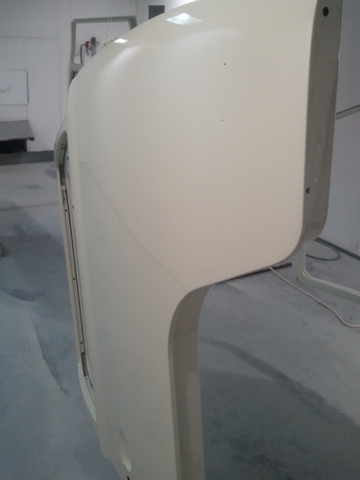 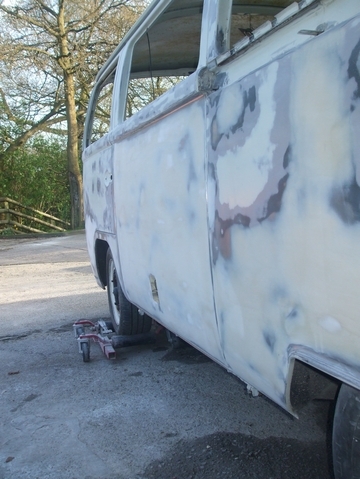 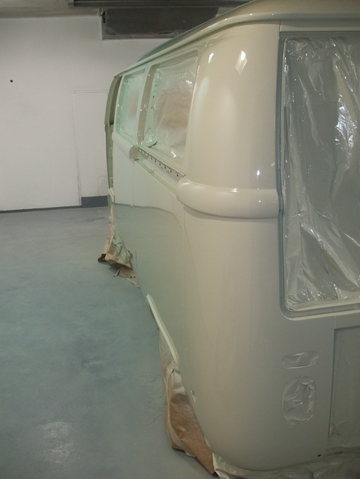 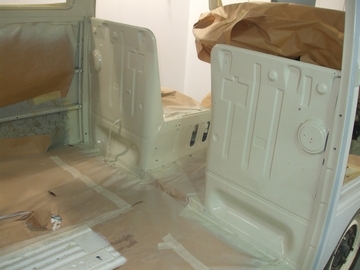 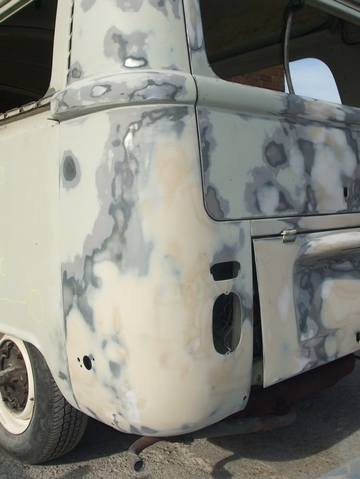 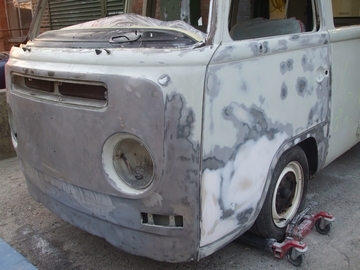 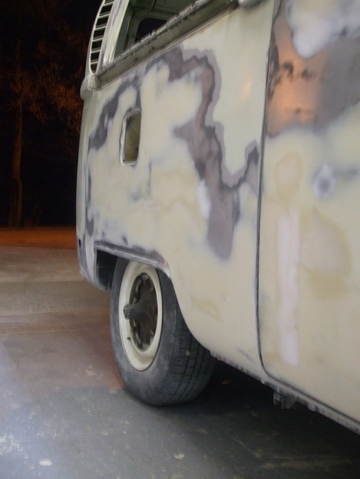 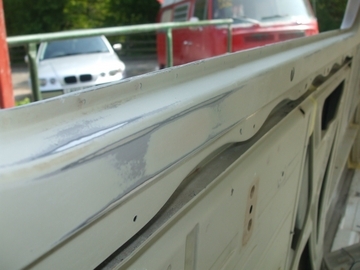 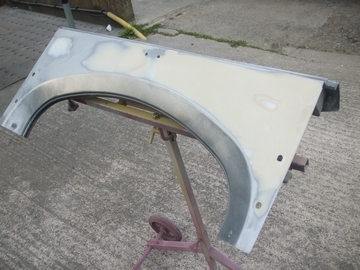 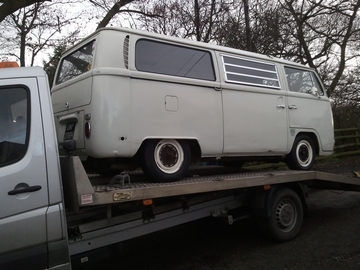 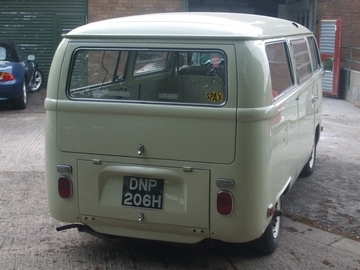 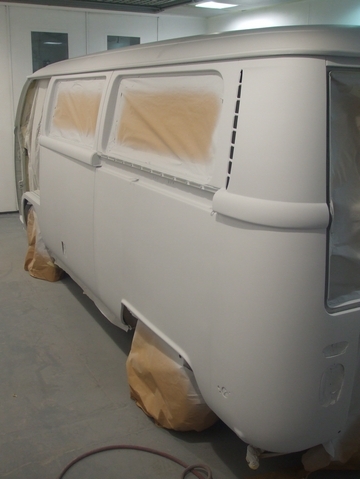 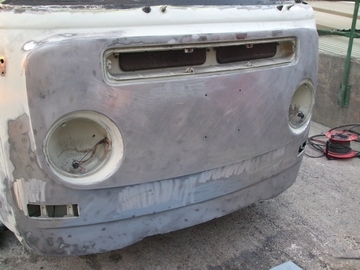 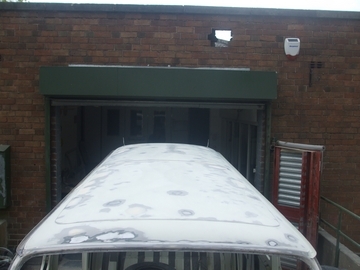 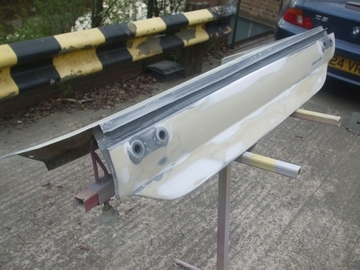 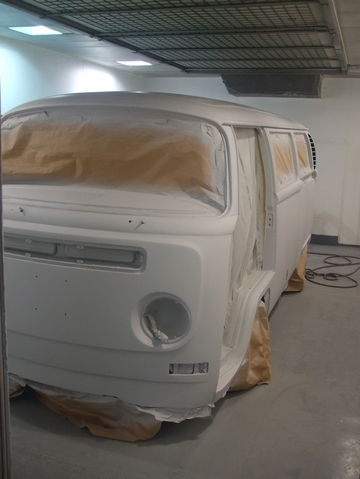 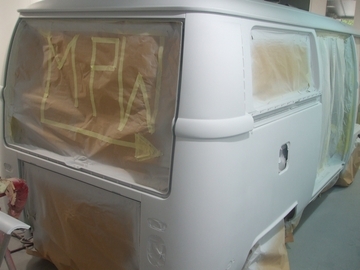 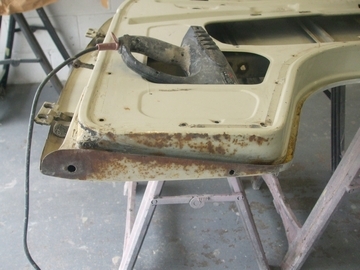 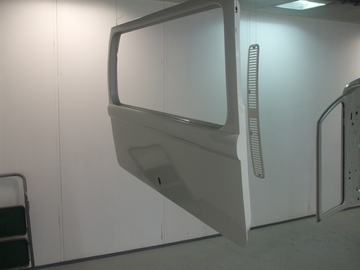 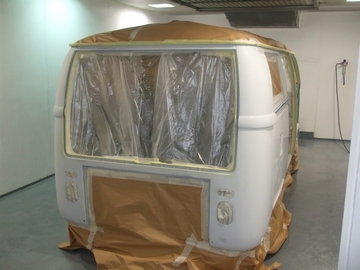 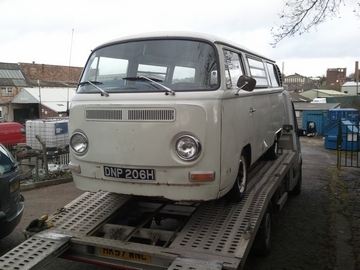 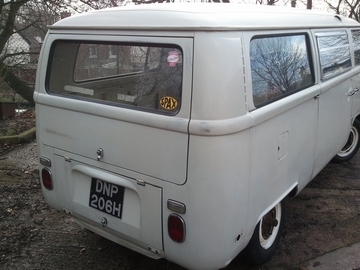 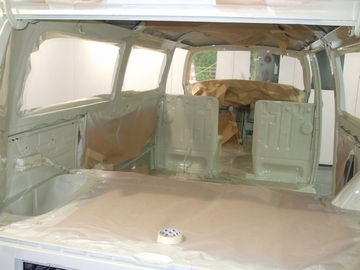 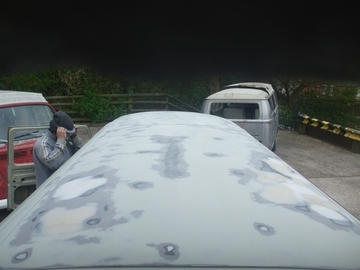 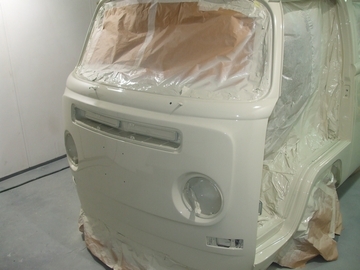 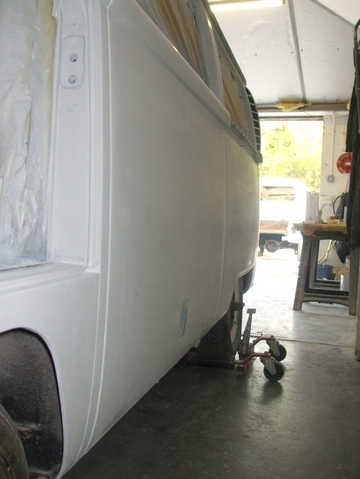 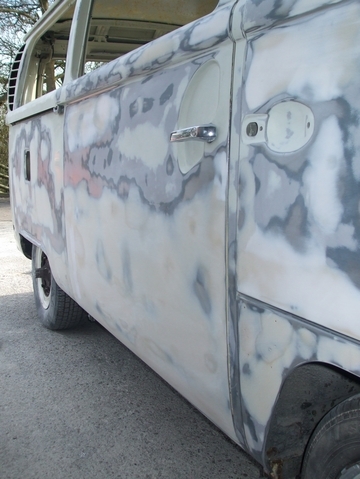 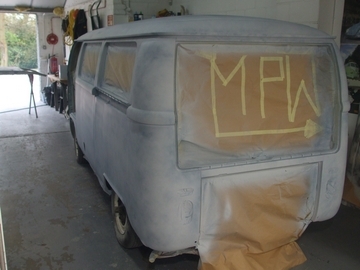 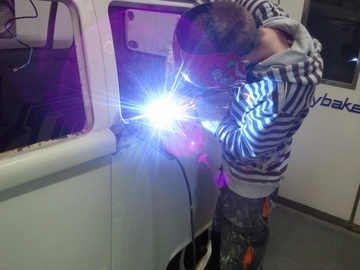 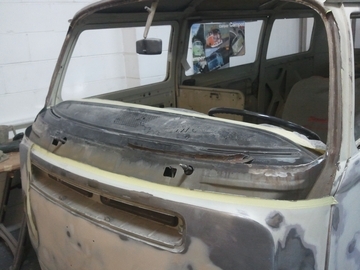 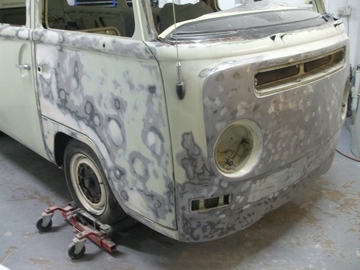 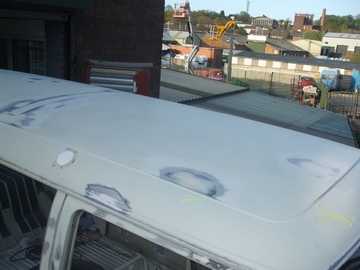 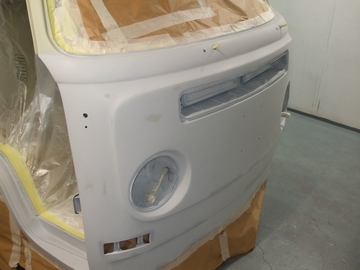 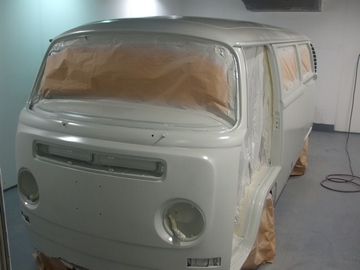 This is Mel's pearl white westy tintop, its in for a full body restoration and will be leaving the same colour but a whole lot more shiney, straighter and solid. 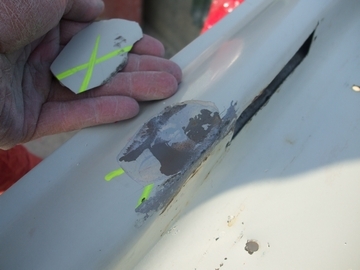 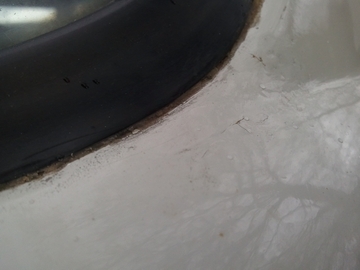 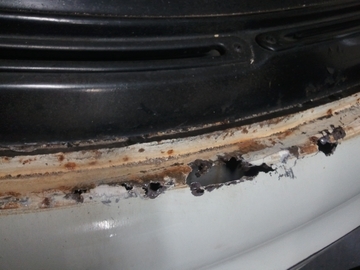 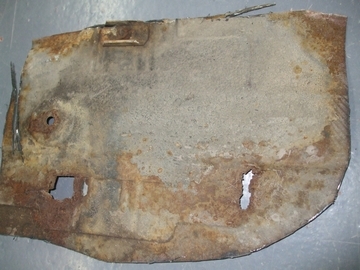 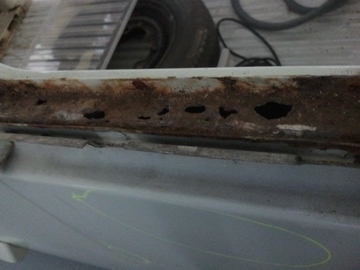 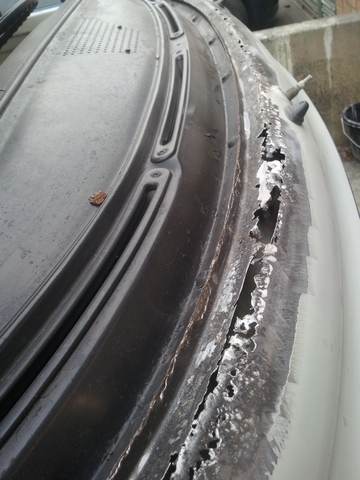 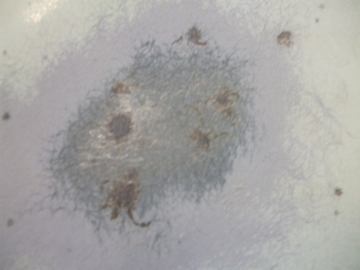 This is rotten due to a previous bodge which included silicon sealer caked underneath the window rubber. 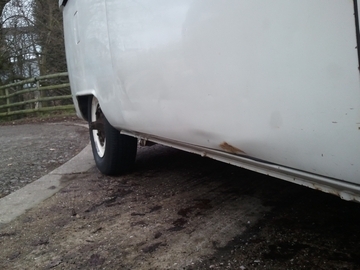 This is the result under each stone chip on the front! 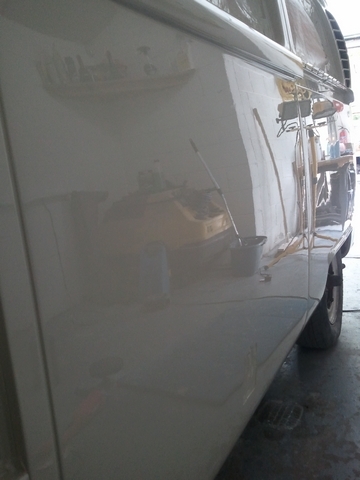 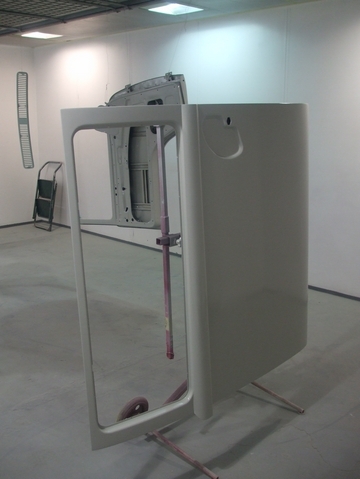 paint completely removed for ultimate satisfaction. 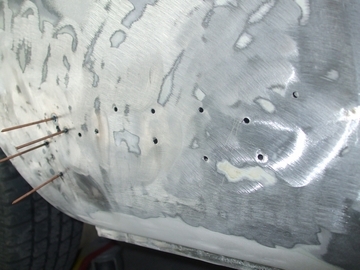 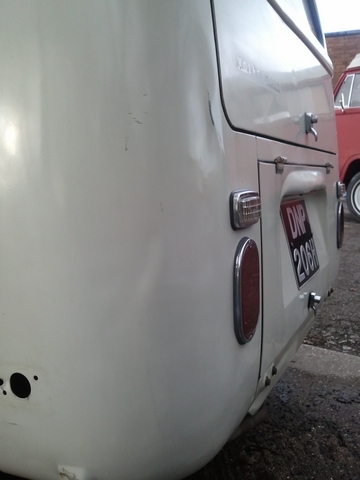 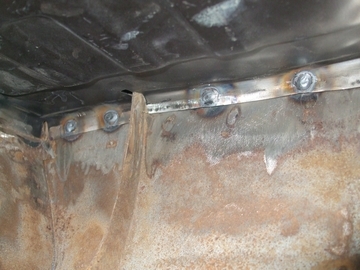 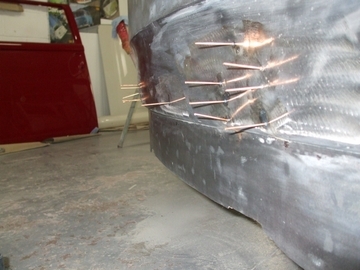 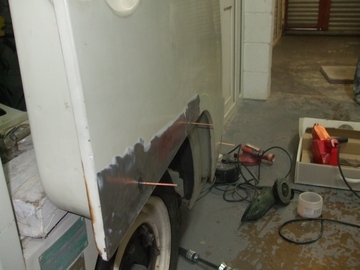 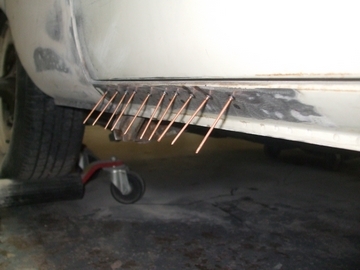 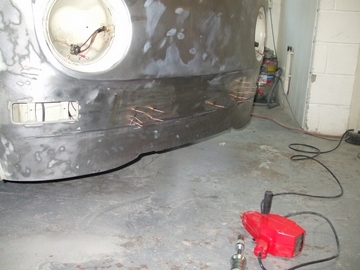 Number plate holes relocated, Lead again! 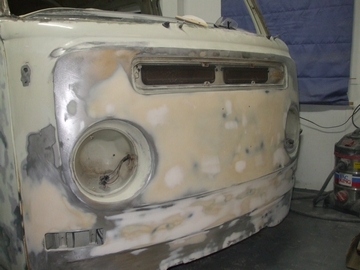 Front completely rust free now! 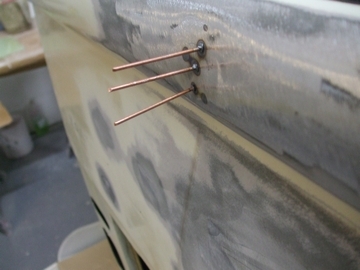 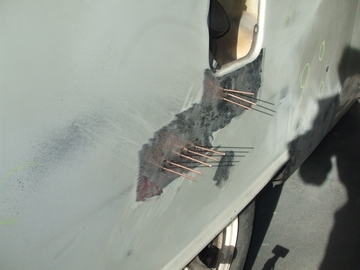 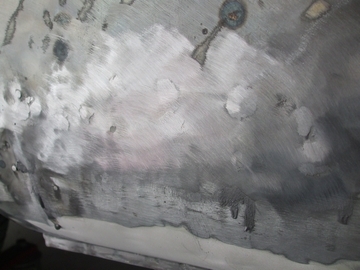 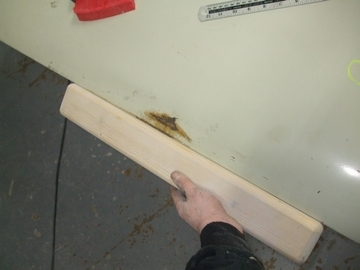 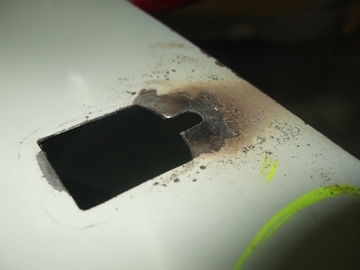 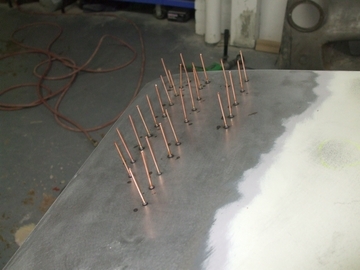 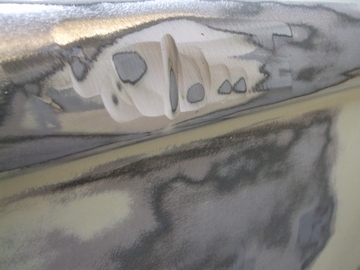 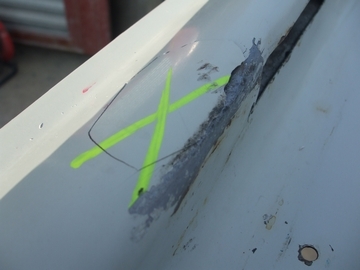 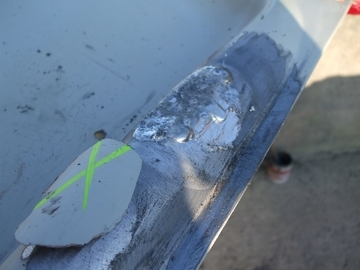 Creases pulled and heat shrunk to put strength back into the bruised panel. 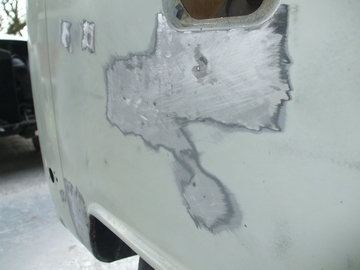 When we removed the over rider dents, there were four small deep ones on the edge we couldn't get the stud welder in, as filler would be venerable here and easily chip away i lead loaded the edges too. 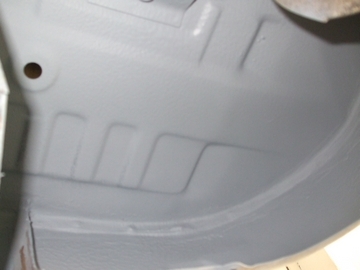 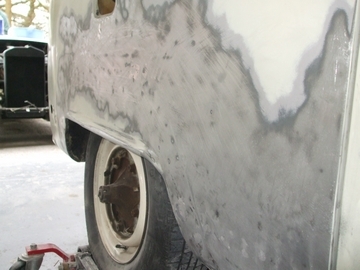 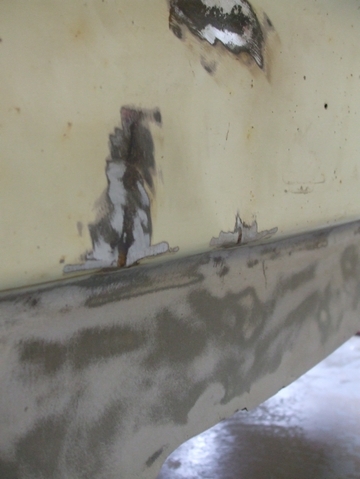 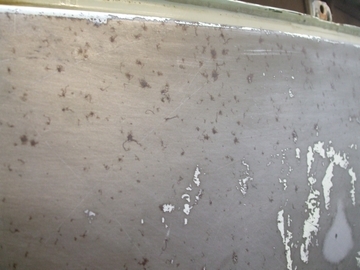 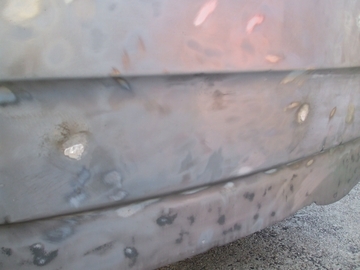 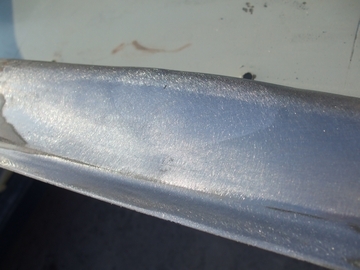 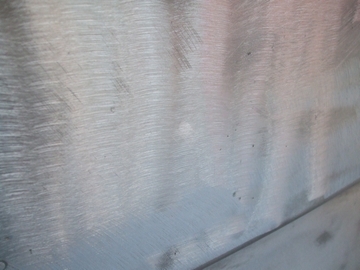 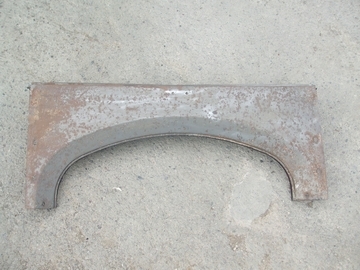 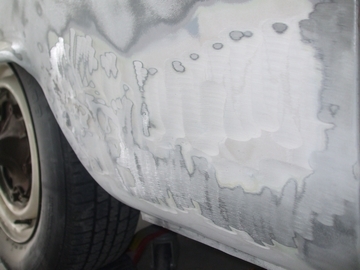 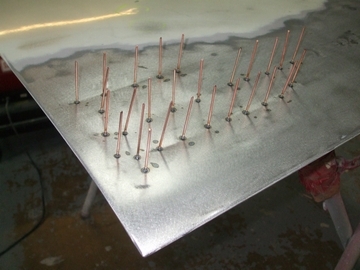 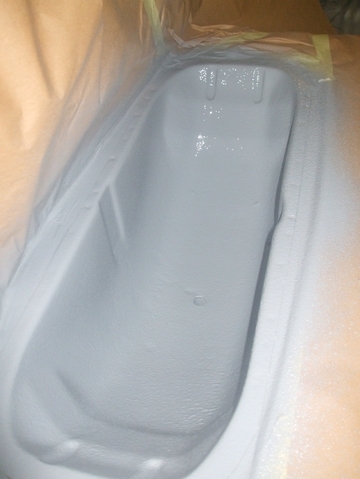 the front skim coated to remove minor waves and ripples. 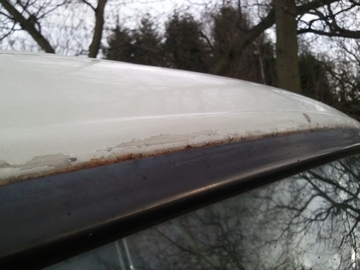 Again abuse of filler on a edge ! 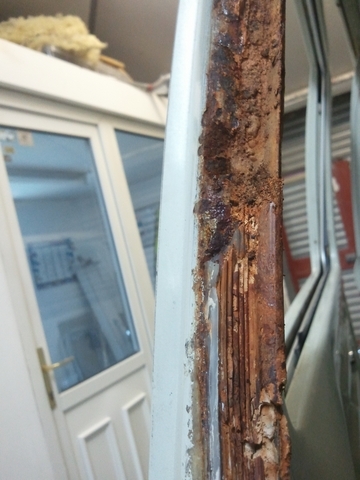 Lots of damage and low spots on this door. 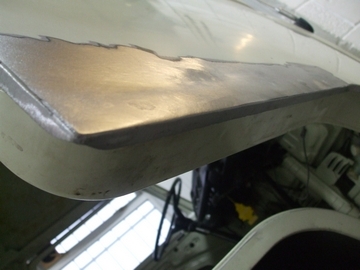 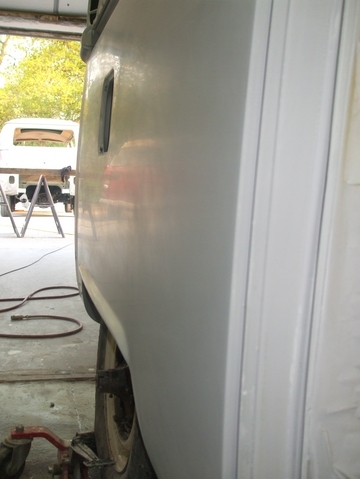 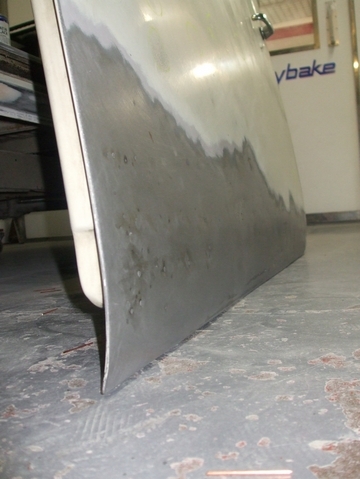 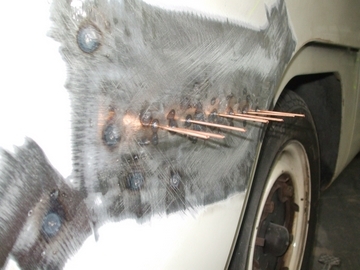 The edge was all kinked, this picture shows how we have beat it straight. 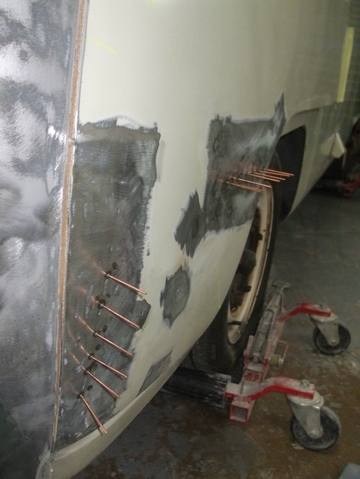 Almost there and reducing the ammount of filler needed. 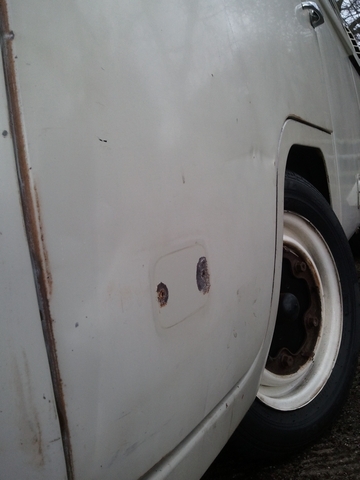 New one plug welded in ! 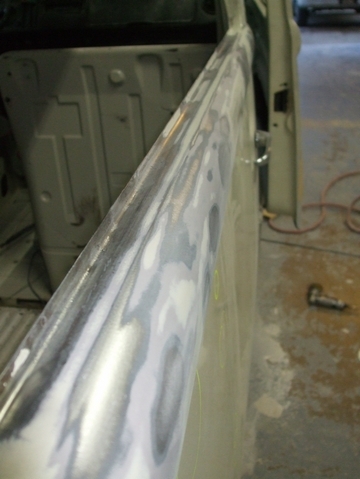 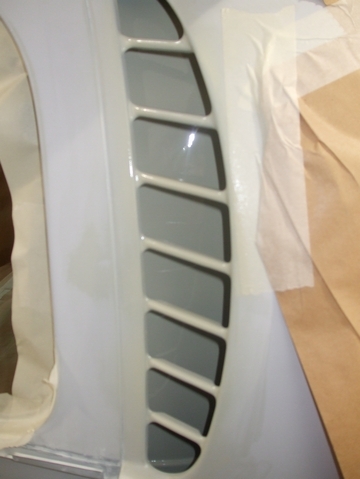 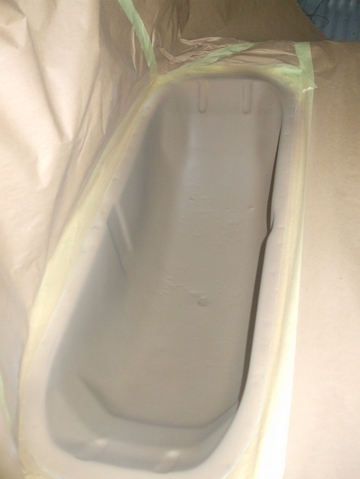 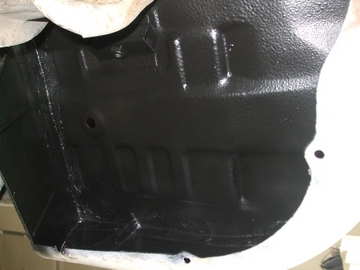 Seam sealed both sides to keep moisture out of the skins and to secure for years to come. 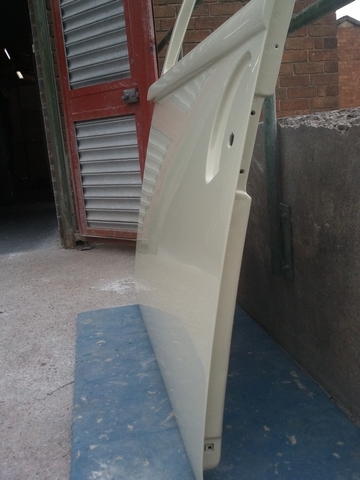 Painted with a anti chip coating underneath to keep it weather tight! 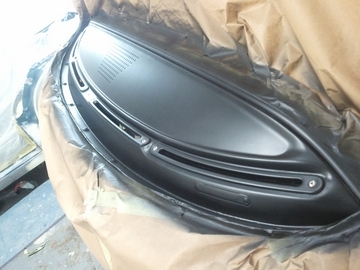 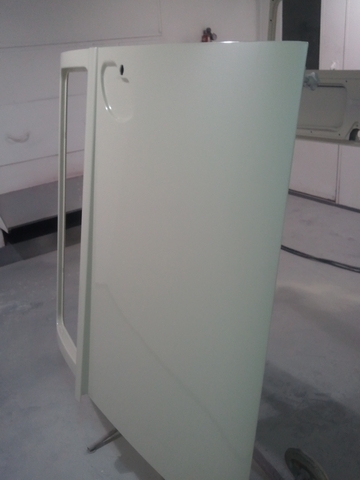 Painted satin black And now awaiting pearl white for the top side. 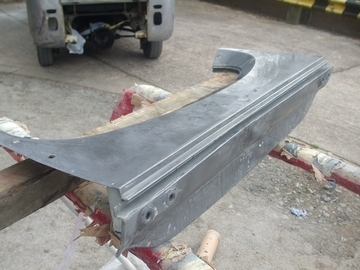 Finally after we sourced some pillars which were fabricated and took delivery on the bulge panel, we started to get stuck in. 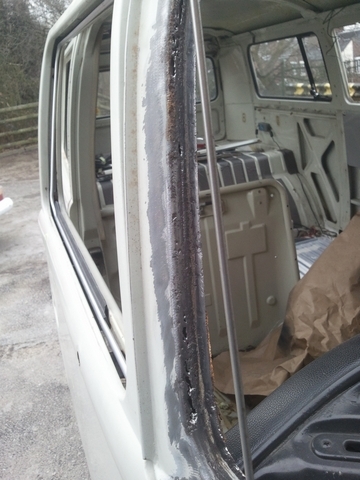 First we shaped and welded the pillars in then followed by lots of fiddling, nocking, pulling pushing, and head scratching we managed to get this poor quality brazillian bulge panel on. 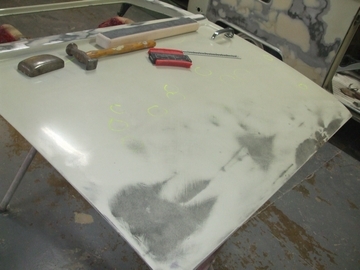 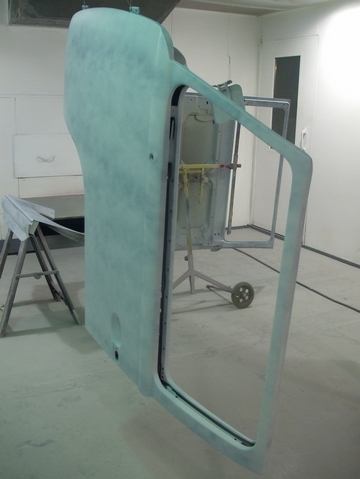 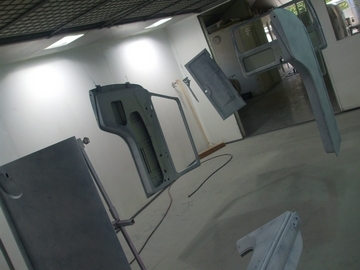 Middle panel bare metalled and skim coated to smooth the many dents and waves out. 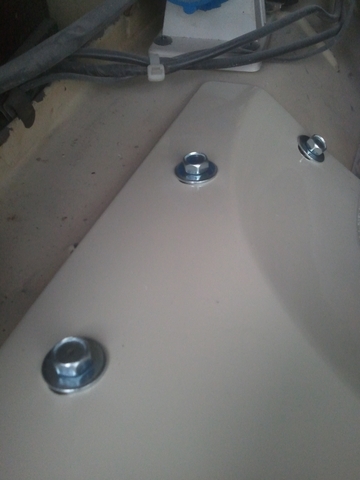 Spare wheel well started to get prepped. 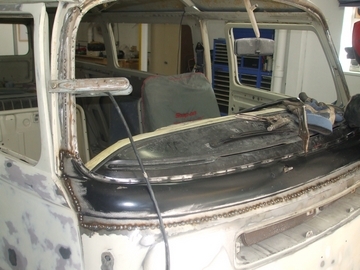 Seat backs and wimdow frames also. 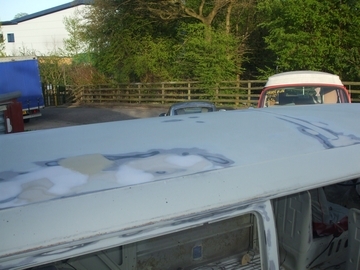 Dents in the roof repaired before the rest of it was sanded. 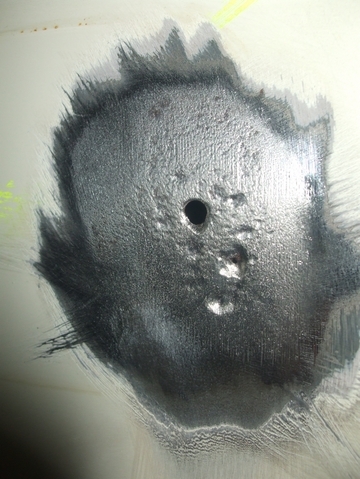 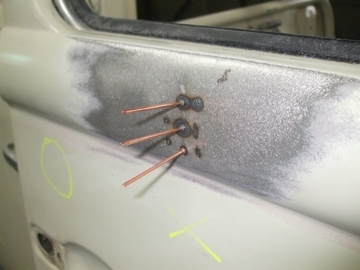 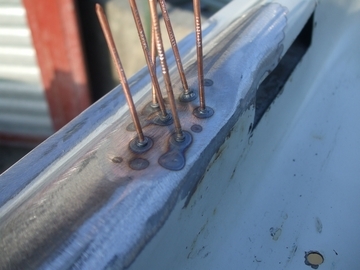 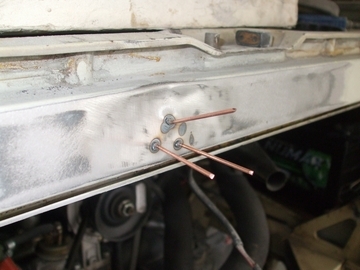 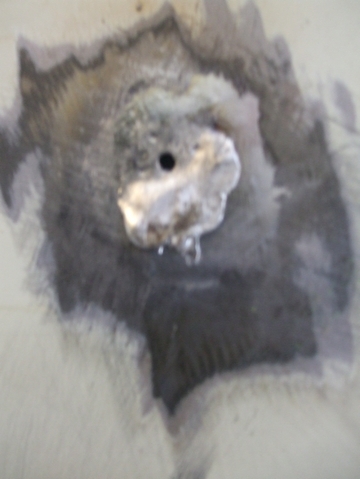 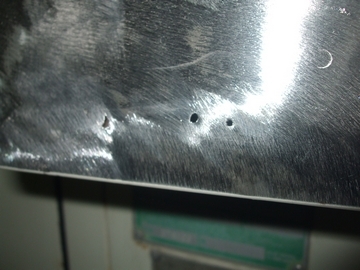 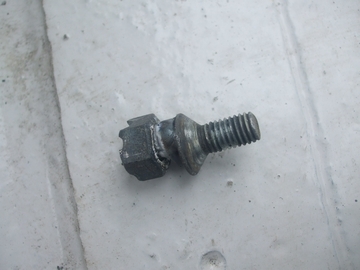 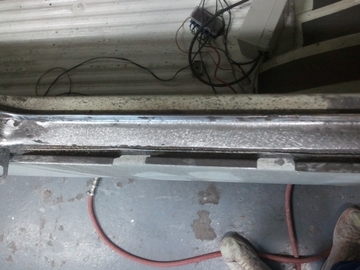 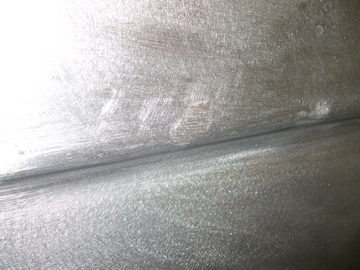 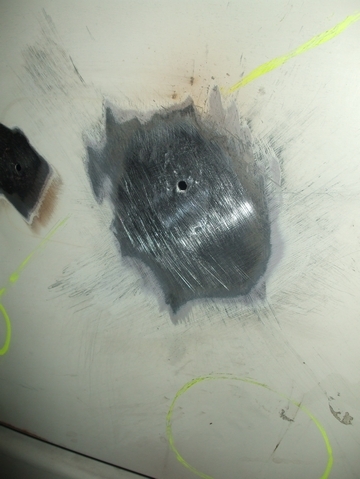 Door pins seized in and heads rounded so we had to weld a nut on top to crack it off. 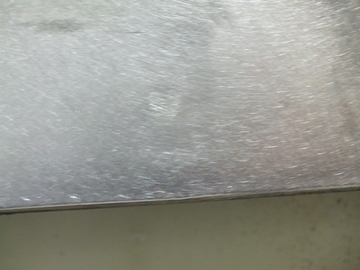 Rolled into the booth (finally) and baked. 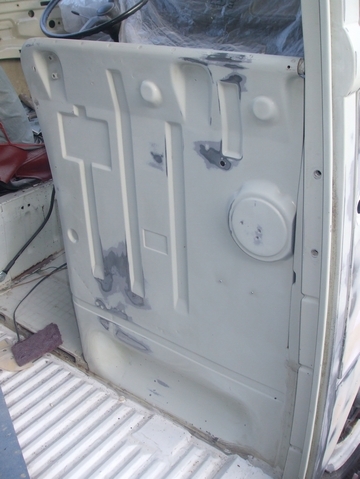 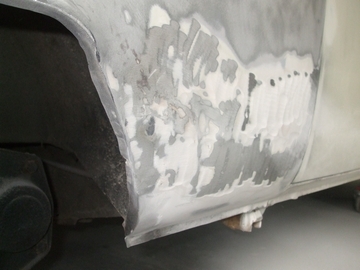 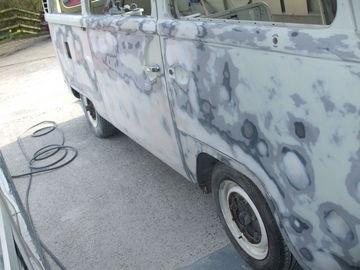 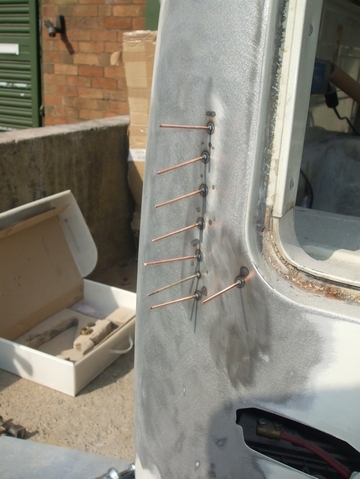 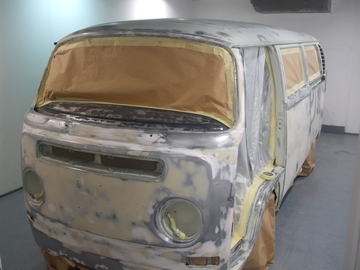 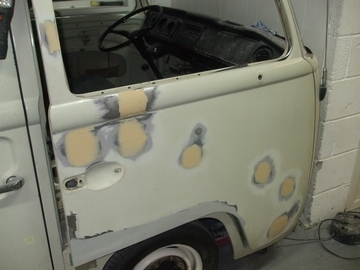 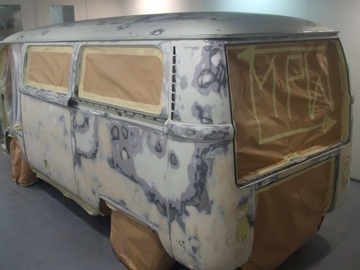 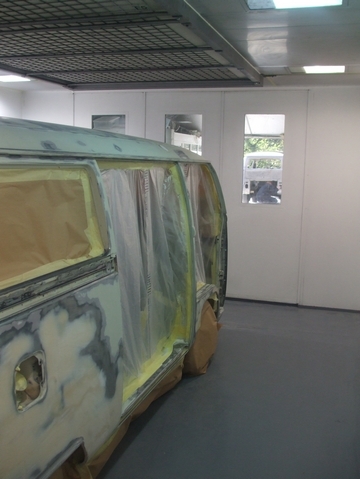 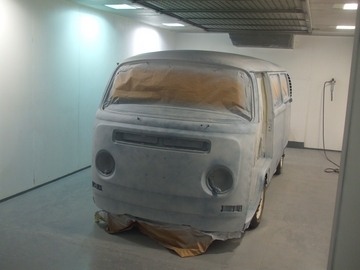 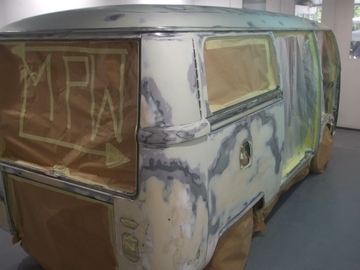 We could of had this van in primer 2 weeks prior, due to our attention to detail and finding rust under the original paint it took slightly longer and we removed slightly more original paint than anticipated as pictures show. 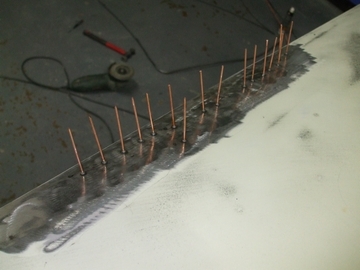 Taped out and ready !! 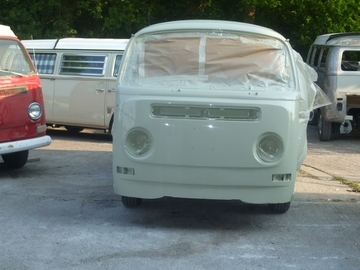 Built back up, m-o-t'd and ready to go! 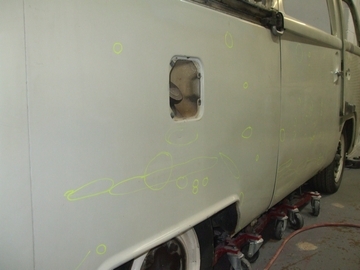 Superb quality work. 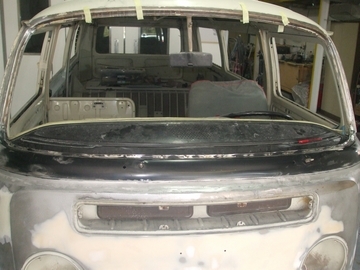 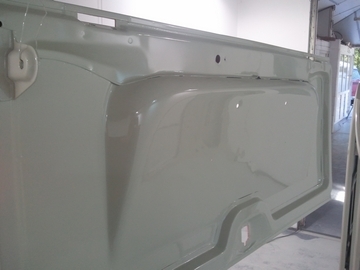 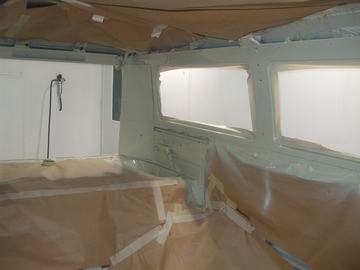 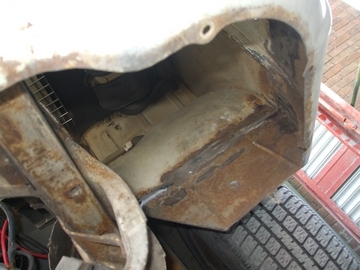 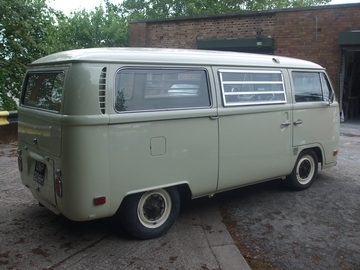 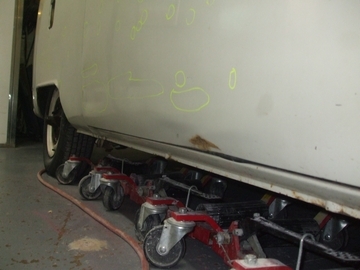 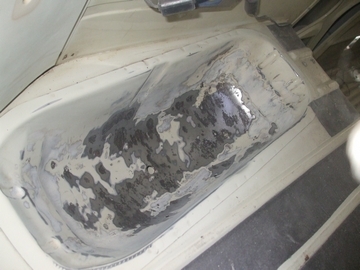 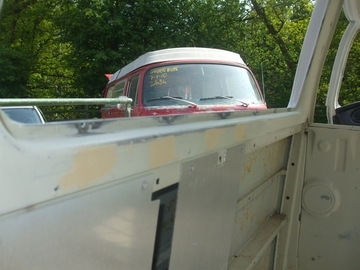 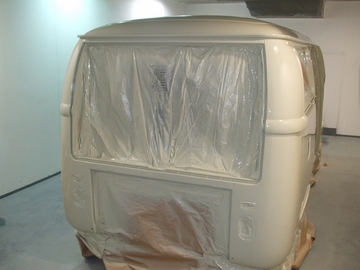 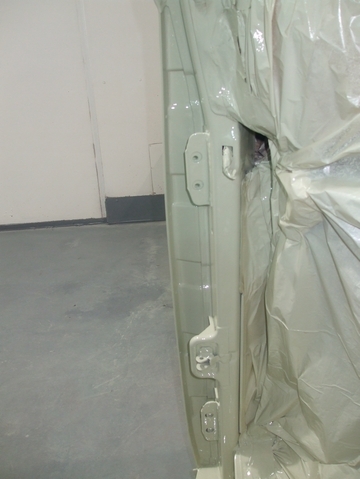 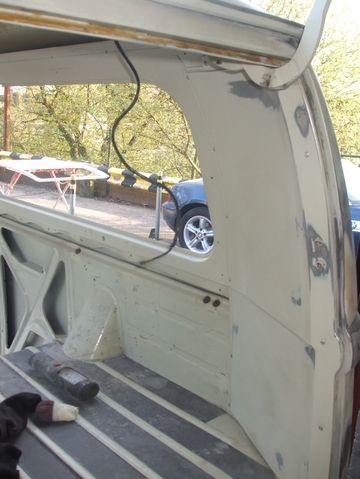 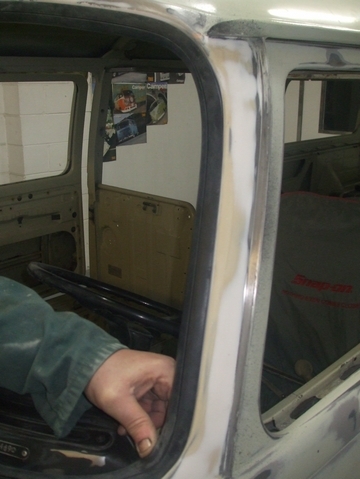 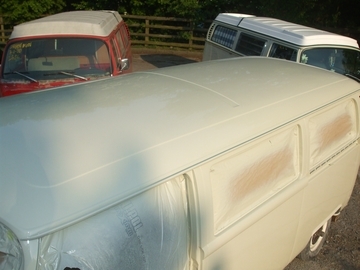 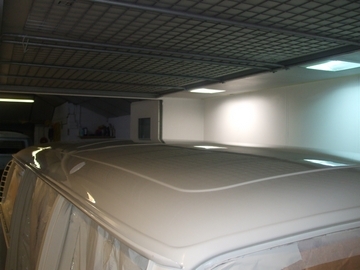 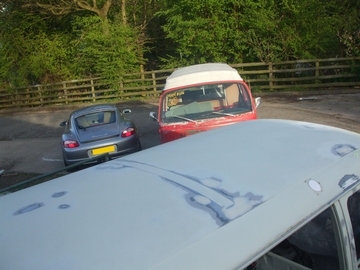 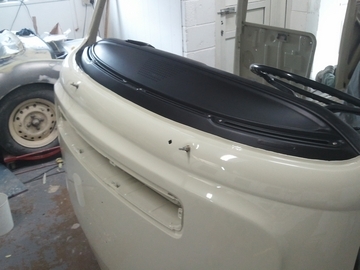 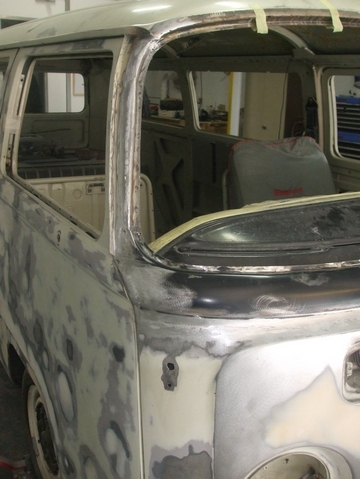 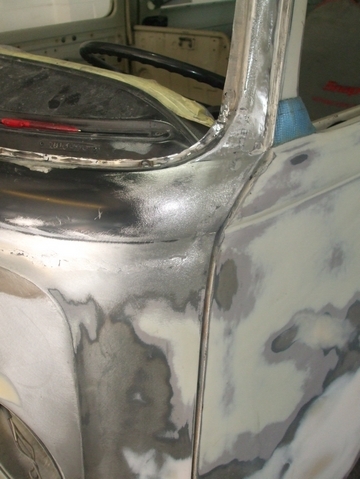 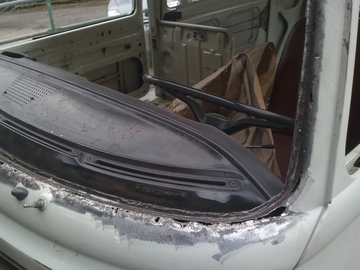 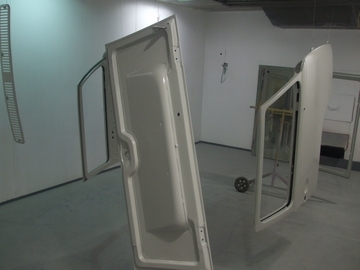 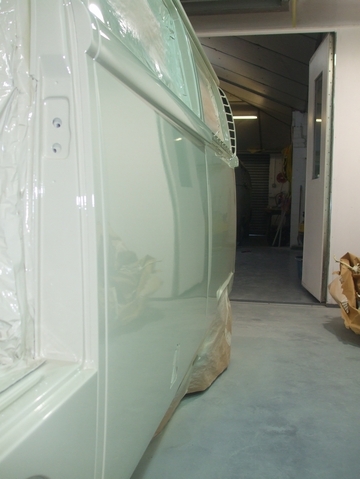 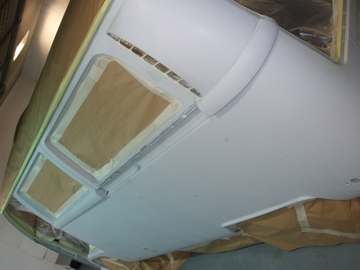 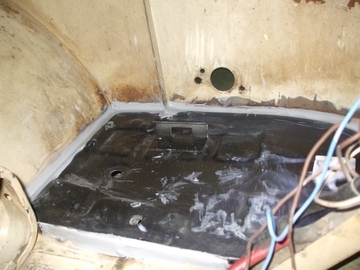 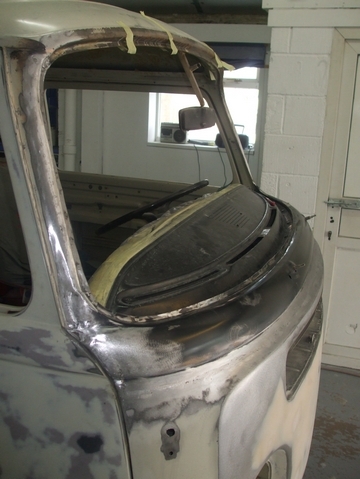 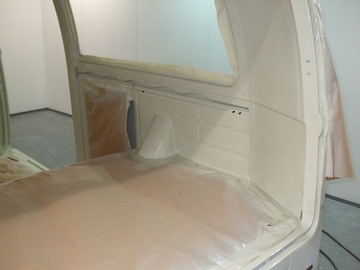 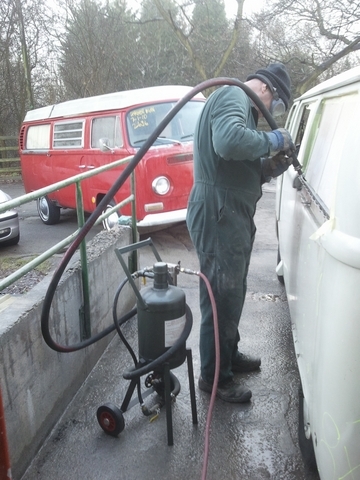 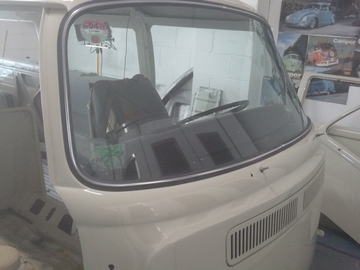 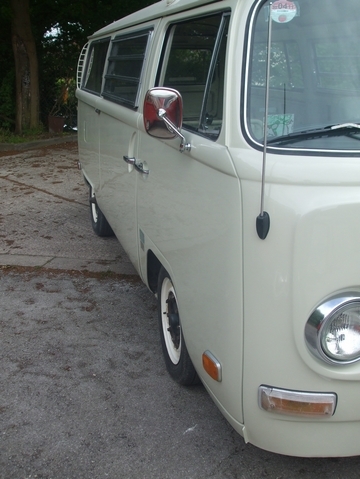 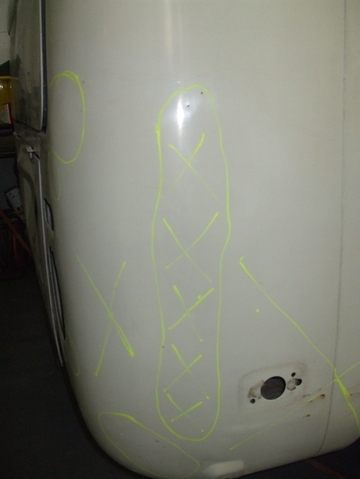 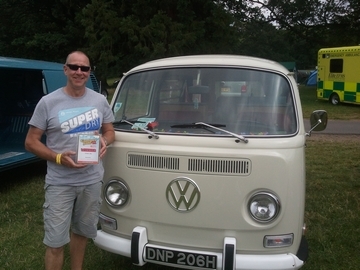 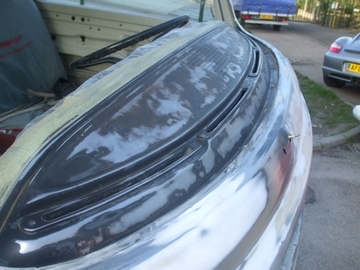 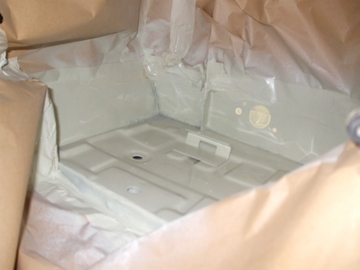 I have just e-mailed you for a quote for a FULL body restoration on my 71 Deluxe withrun roof. 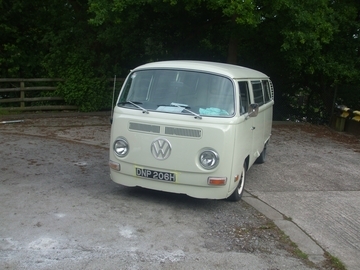 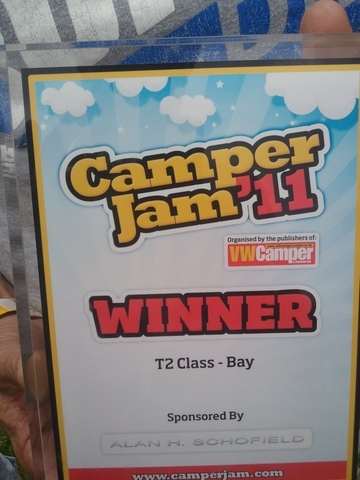 I wished i had waited now for you guys to fit me in, TOP WORK, sorry.